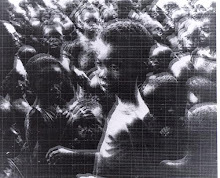 In 1967, following communal violence, an area of Eastern Nigeria calling itself Biafra, sought independence. 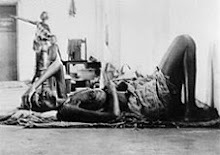 In the civil war that followed (1967-1970), the area was cut off from the rest of the world and its population suffered starvation. Three Quakers, Adam Curle, John Volkmar and Walter Martin, took part in mediation with the leaders on both sides. The American Friends Service Committee also ran relief programmes, led by Kale Williams. 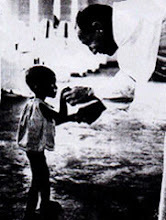 Quaker involvement in Nigeria began shortly after the country gained independence in 1960. Paul and Priscilla Blanshard went as Quaker International Affairs Representatives for the AFSC. They reported on the tensions within the country and proposed a Quaker sponsored programme to strengthen relationships between different communities. Meanwhile, in the US, Curle was considering how he could apply his experience in India and Pakistan to the situation in Nigeria. Martin, with ten years of experience in Kenya, had just joined the Quaker United Nations Office in New York. Following a suggestion from Ambassador Iyalla, the first Nigerian representative at the Quaker Conferences for Diplomats, Curle and Volkmar travelled extensively in Nigeria in April 1967. They reported back that tensions were high – other regions feared that the north would dominate if the government was not decentralised. 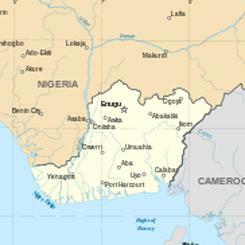 Lt Col Ojukwu declared the Eastern Region an independent state in May 1967. 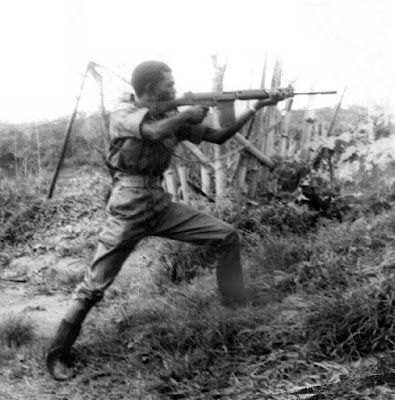 General Gowon, military leader of Federal Nigeria, declared war in July 1967. Towards the end of 1967, President Diori of Niger, representing the Organisation of African Unity. suggested that the Quakers might try and make contacts on both sides. Curle and Volkmar travelled to Nigeria in February 1968 and obtained an interview with General Gowon. Gowon was sceptical of the Quakers’ chances of success at contacting the secessionists and told them that he could not guarantee their safety. They assured him that they had both been under fire before. Having received clearance to visit the Eastern Region, they found that a fear of genocide by federal forces was firmly implanted in the minds of the secessionists. Nevertheless, Ojukwa agreed to secret talks without preconditions. 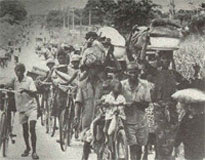 The two returned to Lagos but found Gnl Gowon unconvinced of the secessionists’ sincerity. Throughout the summer of 1968, Volkmar and Curle attended a series of Peace Conferences, acting in a low key role as message carriers between the parties. Although at different times both sides were willing to make concessions, mutual suspicion continued to act as a barrier to negotiations. In September 1968, Curle and Martin made the dangerous night time flight into Biafra on a relief plane, flying without lights to avoid anti-aircraft fire. They found that the rebels’ fears of genocide had been reinforced by the bombing of hospitals and markets. On the other hand, fears had been lessened when no reprisal killings followed the ‘liberation’ of an area held by the secessionists. Once again, the Quaker mediators tried to sponsor discreet talks between the two sides. However, the Federal side remained skeptical. Soon after this, Martin drafted a paper recognising the hostility and mistrust on both sides and the need to find the maximum autonomy compatible with Nigerian unity. Meanwhile, the AFSC was organising relief efforts. David Scanlon and Christian Hansen were sent on a Mission of Inquiry in 1968, travelling under extremely dangerous conditions, and found children suffering from severe malnutrition. In January 1969, the Quaker-Mennonite Service was established, with Kale Williams as Field Director of Relief Operations. By the end of the war, the service was running 15 sick bays and one improvised hospital. It was Williams who, through his role in relief operations, was able to obtain access to the secessionist leaders during the final conciliation efforts during 1969. The secessionists surrendered in January 1970. The much feared reprisal killings never happened. Although the Quaker mediators were never successful in setting up a meeting between leaders of the two sides, the work they did as message carriers did much to reduce tensions and helped pave the way to what Curle described as “the almost miraculous mood of reconciliation” that prevailed at the end of that bitter war.